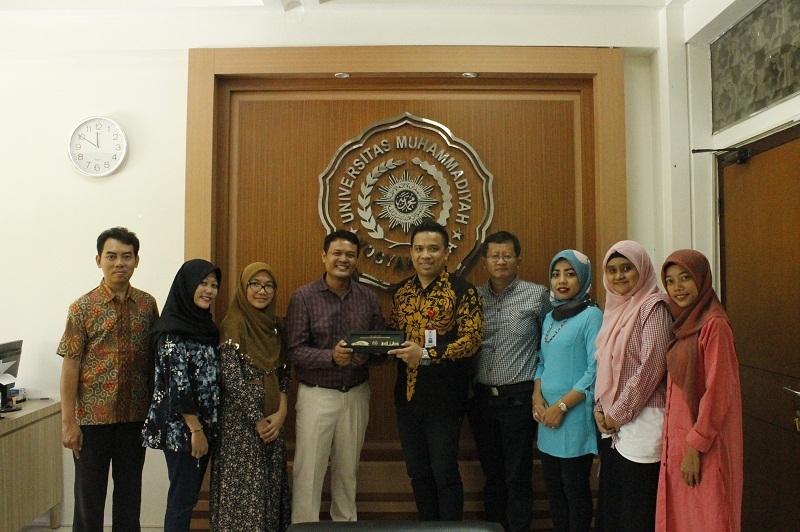 The delegates of University of Trunojoyo Madura have come to Universitas Muhammadiyah Yogyakarta (UMY). This visit in regards to comparative study study and convinced to enhance many possibilities that may improve academic cooperation. November 1st 2018, the Director of Office of International Affairs of UMY, Yordan Gunawan and dr.Farindira Vesti Rahmasari M.Sc., welcomed University of Trunojoyo Madura delegations, Imron Wakhid Harits, Ph.D., Moch.Kautsar Sophan, S.T.,M.Kom., Dr.Indah Agustien Siradjuddin, Darul Hikmah, M.Pd., Syahirul Arief Effendy, S.S., Eka Nur Musfi’atin, and Ziyadatur Rizqiyah. In this Occasion, the delegations of University of Trunojoyo Madura were did a comparative study on how run the International Cooperation and Affairs. Imron Wakhid harits, Ph.D., as the Chief of International Cooperation and Affairs University of Trunojoyo Madura uttered the condition and progress on how they run the International Cooperation and Affairs office. “We actually just started to run the international Cooperation and Affairs in our university. We realized that we have a lot of things to do and learn in order to develop our International and Domestic cooperation” he said. Yordan Gunawan, as the Director of Office of International Affairs later on presented the insight on how far UMY’s International Cooperation and Affairs running. After presentation, the agenda was proceed to discussion and sharing session between both parties. After the discussion and sharing session, the agenda proceed to campus tour.